This traditional Hainanese Chap Chye (mixed vegetable stew) is a must-have during our family’s Chinese New Year Reunion Dinner. In my father-in-law’s Hainanese village, the dish is also known as ‘合家欢’ which means the whole family celebrates and rejoice together. Hainanese Chap Chye is easy to cook and tastes delicious. 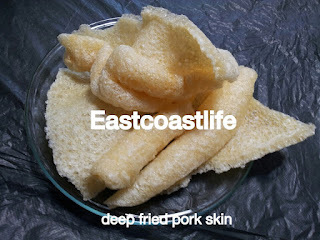 It goes well with steamed white rice or it can be eaten on its own. I cook this regularly because my family members love eating it. Love cooking this dish because it is one of those rare dishes which the kids would eat the vegetables. haha…. 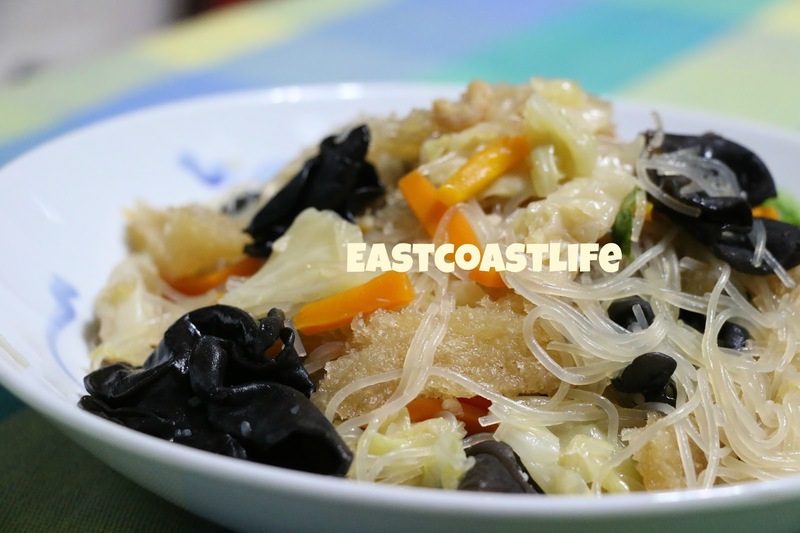 The main ingredients are green cabbage, black fungus, glass noodles, dried shrimps, and garlic. 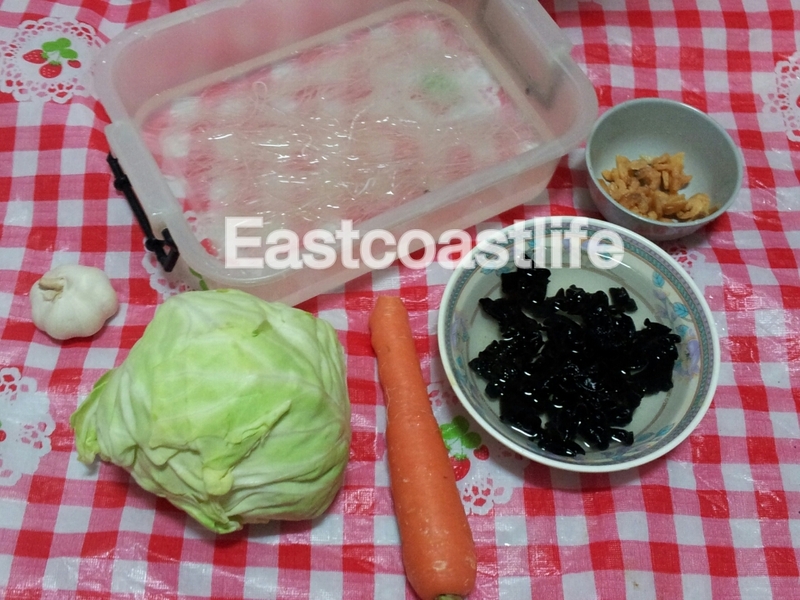 I prefer Beijing cabbage as it is softer when braised, I add the carrot because it is good for the kids. My mother who is a Hainanese, adds dried pork skin to her Hainanese Chap Chye. Sometimes I follow her cooking method and add deep fried pork skin. Soak it first before braising it together with the veggies. It tastes delicious when it has soaked up the resultant gravy. My Hainanese relatives told me there is no pork skin in an authentic Hainanese Chap Chye. I am quite flexible with my dish. Ingredients in my Hainanese Chap Chye stew can include any combination of vegetables. I can have carrots, dried bean curd, mushrooms, lily bulbs etc or even roast meat. But I am giving the simple Hainanese Chap Chye recipe below. 1. Heat wok, pour in some oil. 2. When the oil is hot, fry the dried shrimps until fragrant. 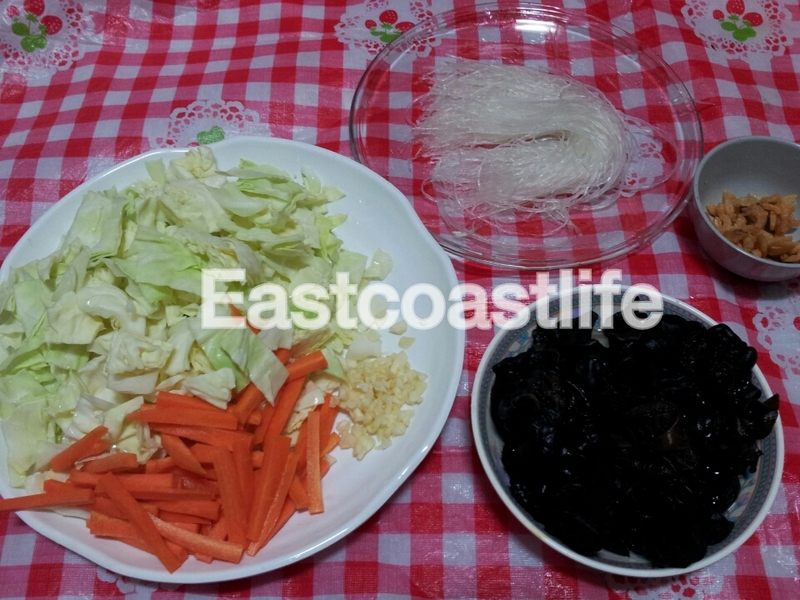 Add the diced garlic to fry until slightly brown, then toss in the cabbage, carrot and black fungus to fry well. 3. 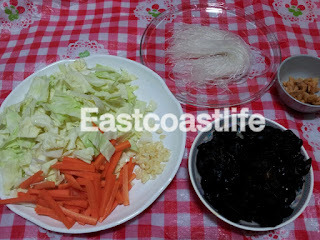 When cabbage turns soft, add two rice bowls of soup to the vegetables, add in the glass noodles, cover the wok with a lid. 4. Once the soup starts to boil, lower heat to simmer until the soup is drying up. Give it a good stir-fry before adding in another rice bowl of soup to braise the veggies. 5. The longer you cook, the better the taste as the flavors of the ingredients mingle. When you reheat, remember to add soup or water when the stew looks dry. 6. Serve hot on its own or with steamed white rice. Hainanese mixed vegetables with pork skin.